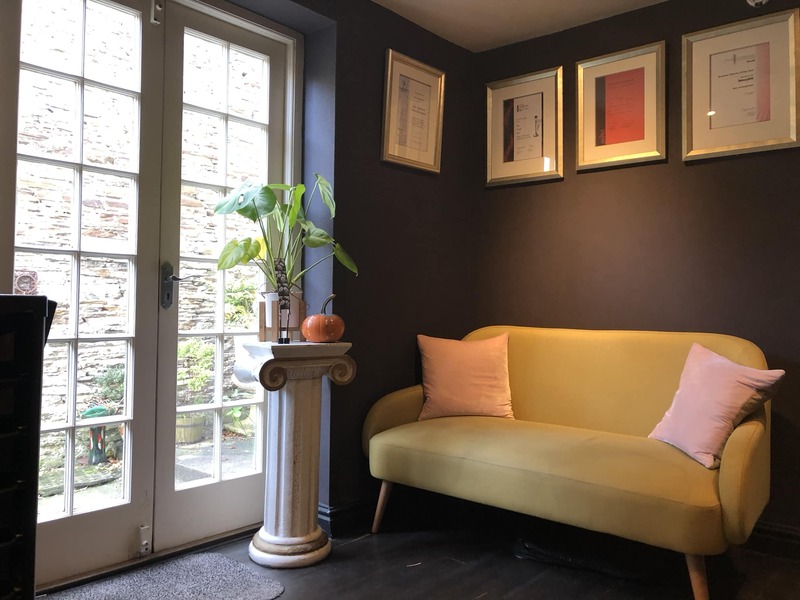 A multi award winning Kingsbridge Hairdressing Salon with uncompromising standards, at The Hair Advice Centre (HAC) we have a passion for customer delight and a pride in making people look and feel fantastic. We want to listen to you and work together to create the best possible results for you and your hair. Ongoing Team training and education are at the heart of our Salon, we are committed to developing knowledge and keeping our Team up to date with current trends whilst also maintaining classic looks. Visiting London for training and attending seminars around the UK regularly reinforces the team’s awareness of changing fashion and keeps our Stylists motivated and on trend. I was made to feel welcome the minute I got there.. Alex then checked the colour I wanted. Toning was too much trouble. I love the colour. A week later and I am still getting compliments on the colour. I shall be a red head from now on. Thanks Maggi, I'll pass on your comments to Sara. Best cut ever today. Huge thanks to Jenny for transforming my hair over the last 3 years - going to miss you! Aw, we're going to miss Jenny as well! Your next appointment is with Staphanie, she's an amazing hairdresser as well, so we know you'll be pleased with her. Always a good experience, lovely stylist always helpful. Sorry to see her go. Thanks for your comments, I'll pass them on to Jenny, we're sad to see her go as well. Excellent cut and great advice! Thanks for taking the time to leave a review Carole. I'll pass on your comments to Sara. We love giving advice to Clients that can really maximise the potential of their hair. Just brilliant! I feel like a new woman! Well looked after, professional and skilled. We're glad we've made you feel like that! We work hard to keep our Stylists' training up to date. I'll pass on your kind comments to Emily. From the beginning all the girls were very friendly and willing to give the best advice with no pressure at all. They gave me the confidence to try the keratine treatment and I am very happy with the results. Good price as at the second appointment, my hair were washed and blow dried. Shannon was a lovely girl who did his job very professionaly. That's great to hear Jo, our job as Hairdressers is to make our Clients hair look great not just when they leave the Salon but for as long as possible between appointments. Thanks for the comments. Great service, relaxed but professional. Always come away with fresh glossy hair. Thanks for your comments Michaela, Coming away from our Kingsbridge Salon with "Fresh glossy hair" every time? what's not to like? Really happy with the whole experience. Emily always asks me how my hair cut has lasted and listens to me. I am always pleased with the way she cuts it and the care she takes. Thanks for taking the time to let us know about your positive experience in the Salon and that you like the cut as well as the fact that Emily takes care of you and your hair. I'll make sure she gets your feedback. Alex was understanding in what I needed very professional in matching my colours ,and I’ve come out feeling great and looking great ! I’m now sorry im not going out as I’m only going home to cook tea , unless I get a better offer !!! ???? Thanks for the review, hope to see you in the Salon again soon. 'Pampering and wonderful results each time'! Our team work hard to make our Client's both look AND feel great each time they're in our Kingsbridge Salon. To hear you're pleased with the 'wonderful results' is fantastic.. Following ill health I just wanted a boost to a boring grey head of hair. Super consultation with Sara the salon owner and Shannon executed some subtle colours excellently. Always such a great vibe in HAC & you could be sat in a top London salon rather than Kingsbridge. We love having you in the Salon Liz and are pleased you enjoy the "top London Salon" in Kingsbridge vibe. I'll pass on your kind comments to Sara and Shannon. Thanks for your kind comment Myra, we always love having you in the Salon! How's the phBonder treatment feeling? I love Emily to bits. Her usual question of ‘so what are we doing today’ was met with ‘a pixie style please’ (I’d forgotten to ring and check it was ok to change what we usually did, so it took her a bit by surprise!). Emily took it all in her stride and gave me a wonderful new look! The best bit was how excited she was to be doing the new hairstyle - she really is a gem! Our Stylists really love it when a Client wants a change in hairstyle, it really lets them be creative Hairdressers and use their training. We saw the before and after photos and love your new look. I'll pass your kind comments on to Emily. Thanks for your review Sam, I'll pass your comments on to Alex. How are your Highlights now? Next time, ask Alex about phBonder to give an even better look and feel to your hair as well as improve the condition after your colour treatment. Last minute impulse to have a trim and was on v limited time.. So delighted with the results and in and out in under an hour. Feel so much better, thank you!! Charlie, we're so glad that we could get you an appointment at short notice, if you don't ask, you don't get! We can't always do it but if we can, we will. We look forward ot seeing you in the Salon soon. Thanks for the review Graeme, Jenny works hard to get her Gent's haircuts on trend and to her Client's satisfaction. I'll pass on your comments to her.